Leading Manufacturer of hinged window frame from Chennai. These screens are flexible and openable. They are made to provide a remarkable ease-of-use, are light and can be used effortlessly with existing windows. Hinged insect screens provide complete insect protection. Its unique design allows for maximum maneuverability and operational ease. The screens of the insect screens are made with fibre mesh. The fibre mesh comes in a range of colours such as grey, black, white and brown. We also use stainless steel mesh to protect the mesh from rats. The frame of the hinged insect screen is sturdy and comes in a choice of colours that includes off-white and powder-coated brown. 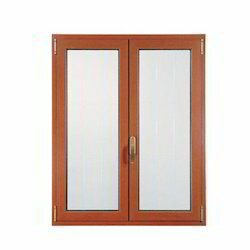 Looking for Hinged Window Frame ?